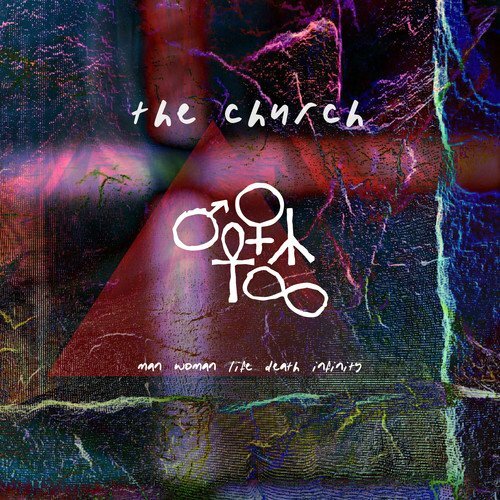 Fire Note Says: On their 25th album, The Church from Australia continue to deliver those floating guitar lines that intertwine and grow to create that dreamy, ethereal sound that fans have come to expect. Album Review: On their 25th studio album, Australia’s The Church maintains the sense of revitalization that developed from the band’s 2014 release,Further/Deeper. Long-time Church fans universally recognize the band’s breakthrough radio single, “Under the Milky Way” from 1988’s Starfish, but from there the band’s strongest efforts are up for debate. I’m prone to the early 90’s albums myself: Gold Afternoon Fix (1990) and Priest=Aura (1992), others are more fond of Heyday (1986) and still others prefer the 2000s releases of After Everything Now This and Back With Two Beasts. But if you caught the band on their extensive tours in the last couple of years, besides their newest album and the few songs they had that qualified as hits, you were likely to hear wide swaths of material from their sophomore album, The Blurred Crusade (1982). So it should surprise no one that Man Woman Life Death Infinity besides being the band’s longest album title, is shaped by the same tones and textures that have carried the band successfully through their first 24 albums. Dreamy and ethereal, floating guitar lines that intertwine and grow in intensity; pulsating, psychedelic, haunting, are fitting adjectives for many of their songs that draw their center around bassist Steve Kilbey’s low, ruminating vocals. A trance-like, hypnotic vibe is part of the appeal as these songs take on a nearly cinematic quality. For the longest time, it was hard to imagine The Church’s sound working without both of their original guitarists, Peter Koppes and Marty Willson-Piper, but Ian Haug came on board to replace Willson-Piper in 2013, and both live and on Further/Deeper the band didn’t miss a step, and the same can be said here. Song-wise, the tunes on Man Woman Life Death Infinity seem to get more quickly too the point than some of their more spacey works from the past, as Kilbey’s lyrics, although still as random and disconnected as you might expect from this stream-of-consciousness approach, seem more deliberate and focused. On tracks like “For King Knife,” “In Your Fog,” and “Dark Waltz” the lyrics feel as integral as the guitar hooks and melodies are to the pieces, rather than vice versa. “Crocodiles and allegations” begins “A Face In Film,” which rhymes nicely with “Palpitations” and “League of Nations,” but if you need more than that you’re not going to get any help from Kilbey. These songs, like much of The Church’s catalog, are all about the feeling created, the immediate, visceral response to the sounds, which remains to engaging to these ears, and still makes a fun connection, and the words float by like images outside a train window. 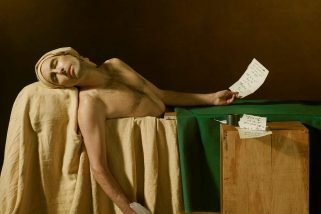 After 25 albums there’s going to be a reliable sense of familiarity throughout Man Woman Life Death Infinity. Even after several listens to “I Don’t Know How I Don’t Know Why” you may feel like you’ve heard it on a previous album. The melody and guitars recall previous glories, but here in 2017 we can be grateful that The Church is religiously consistent.